Foley is about creating sounds by using materials that you scrunch, walk-on etc which are then recorded to give the impression, say, of someone walking on the beach, opening a creaky door etc. It seems that what you want to do is manipulate existing sounds so that they sound as if they originated from something else. IMO the best way of doing that would be to load the sounds into Computer Audio Workstation software and then manipulate them there. There are numerous off the shelf bits of 'add-in' software (Plug-ins) that enable you to do this and you also often get some of these bundled with the audio software. If you do want a mic, then consider having a stereo option. For 'Foley' type stuff, although you can get away with mono much of the time, it's often going to be more convincing in stereo - a crown scene, or a thunderstorm, for example. A good 'starter' option might be something like a Zoom H4N, which you can take with you everywhere and begin to capture all kinds of useful environments and effects. There are many microphone options, so choosing one or more will depend on your budget. Top tier foley stages generally have at least one shotgun mic, with the Neumann KMR81i, Sennheiser MKH 416 or MKH60, or their Schoeps, Sanken, DPA equivalents. These are at the more expensive end, but they are standards for a reason. Personally I use a KMR81i, a pair of MKH60, single MKH30/40/50 and a pair of Rode NT-6 with cardioid and omni capsules. The MKH 30/40 paired make an excellent M/S stereo set. I have a feeling the OP doesn't really want to create Foley sound effects, more the ability to just go and record some sounds both in the field and the studio, for use in his music. Probably not a huge budget and one mic that's adequate and multi-purpose, rather than a collection of specialised mics. Thank you ! and sorry for delay look like i forget to subscribe this topic to get an email. Anyway to be clear guys. Mic is not, the most important thing in my studio because for 999$ i would buy speaker or some synth maybe. Second reason is I'm not sure if my recording my recordings will be useful for my clients. if it turns out to be successful and I like it, I will be able to develop it. I have experience in DAW, mixing etc i want to layer my rec with sounds from synth add some sounds fx and more stuff, so this doesn't need to be a super cinematic sounds quality. I record ambient sounds using a Tascam DR100 and I find the recordings a high quality. Indoors I use a good, but not particularly expensive, Audio-Technica ATM10a. However when I record spoken voice or saxophone, I go to a specialist studio where the microphones cost more than my brain - and the engineer has decades of experience at the highest professional level. Thanks for the explanation Mike; that's helpful. Now we know that; I'd go with The Elf's suggestion of a mid-grade portable recorder such as the Zoom H4n or one of the Tascams, Olympus's etc etc. Try and stretch your budget a little above the level of the Zoom H1 if you can. Incidentally, The Elf is a wizz at collecting all sorts of sounds and incorporating little snippets into recordings. It can be very effective! Good luck with this new experiment! H4N sounds good for me. This budget is acceptable i'm sure that this quality is much better then H1n. H4N is 200 EUR for this price i can buy mic like Rode NTG2. H4N is portable but Rode can also work without phantom power, i can use the battery. Then i can take it with my laptop + audio interface. The mic should be better than recorded because this is just mic without record system, screen etc. The mics on the H4n are perfectly acceptable. You won't need an extra mic. And if you are thinking of an extra mic the NTG is not a good idea for indoor use. You'd be better with a good cardioid mic. But you won't need an extra mic. I don't see a pressing need for a shotgun mic for your intended use. +1 for the H4N, I use mine for exactly this purpose. Also, for sounds, there are a million libraries available although they rarely offer exactly what's called for for foley, but I've had good luck with sketching out ideas using them. Also Mike, that link is exactly what I've been looking for! Thanks. The mics in these recorders are very sensitive to wind. Even light wind can ruin an outside recording. A most useful accessory is a good mic windscreen. I use an H4N too. A good windscreen is highly recommended. To get the sounds into the computer I remove the chip from the H4N and put it into a cheap usb chip reader attached to the computer and drag the files onto the desktop. ManFromGlass wrote: I use an H4N too. A good windscreen is highly recommended. To get the sounds into the computer I remove the chip from the H4N and put it into a cheap usb chip reader attached to the computer and drag the files onto the desktop. Out of interest... why don't you use a USB lead to connect direct to the computer and download that way? It saves the faff of removing (and risking damaging) the SD card and loading it into a reader. Does you way of working preclude that? I've got a Zoom H4n as well, but I use the short USB cable that came with it for transferring audio files into my PC. Just plug in the USB cable and the Zoom H4n powers up via USB, and its drive and contents then appear in Windows Explorer. 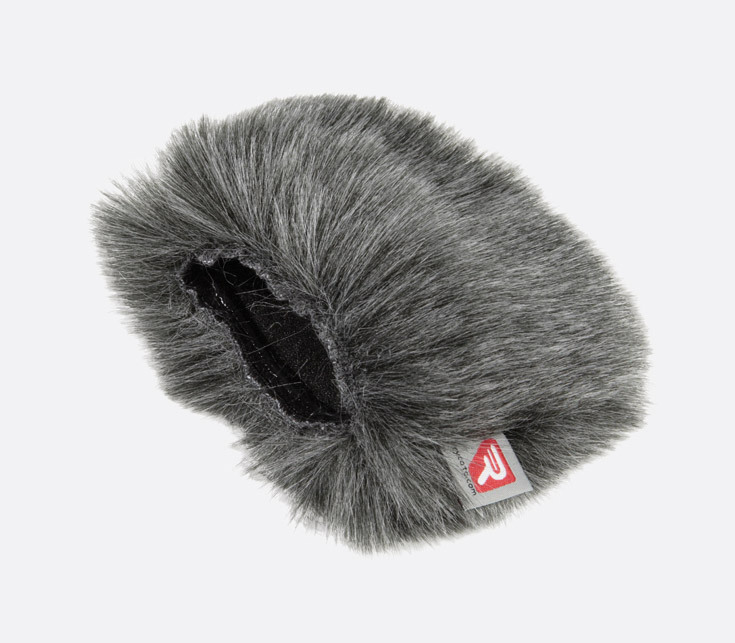 I've got a decent Rycote windshield (from Canford I believe, after a bargain tipoff from The Elf), along with a vibration suspension to minimise any handling noise.